8/19/2008Share this story on Facebook! 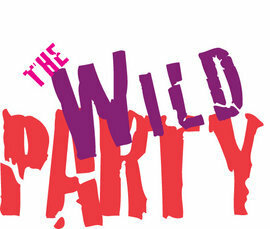 IC Theatre will stage "The Wild Party" as part of its 2008-09 season. Along with student performances and recitals in Ford Hall, there are several other noteworthy ensembles scheduled. On Friday, Oct. 3, the Guarneri String Quartet will play Ford Hall as part of their farewell tour. The group has been performing at prestigious venues all over the world for the past 45 years; they will be playing some of their most famous works during their last season. On February 2, violinist Elmar Oliveira will take the stage with the Syracuse Symphony Orchestra. Oliveira is one of the most renowned violin players in the world; he was the first American to win the Gold Medal at Moscow’s Tchaikovsky International Competition in 1978. Vanguard Jazz Orchestra, the house band for the famous New York City jazz club, the Village Vanguard, will also be stopping at IC this coming spring. They’ll be taking a break from NYC to perform at Ford Hall on March 27th. If you crave drama, look no further than Ithaca College Theatre. Kicking off the season, (though not a part of the season package for season ticket-holders), is The Exonerated, a drama co-written by Jessica Blank and Erik Jensen. The script is based on interviews the authors conducted with exonorees throughout the United States. The drama follows six people through their trials as wrongfully convicted criminals sentenced to death row, and their eventual pardons. Metamorphoses is Mary Zimmerman’s Tony Award-winning version of Ovid’s famous narrative. The play uses a pool of water as the main set piece as it explores universal themes and human nature. It features an ensemble cast, and each actor will play many roles. The season will also feature The Wild Party by Andrew Lippa, a robust and comical musical that tells the story of a 1920’s vaudeville couple who throw a party with some off-beat characters in an attempt to put the spice back in their relationship. The Wild Party is for mature audiences only. Tartuffe is Molière’s comedy of a con artist scheming to secure wealth and a marriage by aligning himself with a respectable French family. The story will be set in 1840’s New Orleans. Another musical this year will be A New Brain. It developed as composer William Finn’s project when he was recovering from a brain hemorrhage. Finn co-wrote the play with James Lapine, and it's considered one of his finest musicals. Guest director David Lefkowich is also returning to direct two operas, Cendrillon (Cinderella) by Pauline Viardot, and L’Enfant et Les Sortililèges (The Child and the Wild) by Maurice Ravel. The operas are a collaboration between the School of Music and the Department of Theatre Arts. Expect unique interpretations of settings as well as subtitles to make the performances more accessible.